This is so beautiful! 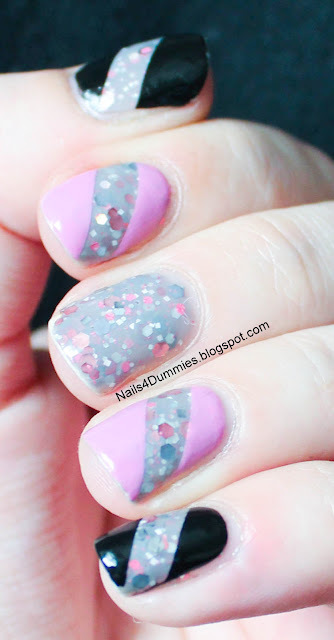 The pink polish is so pretty & I love the idea of glitter ribbons across all the nails. 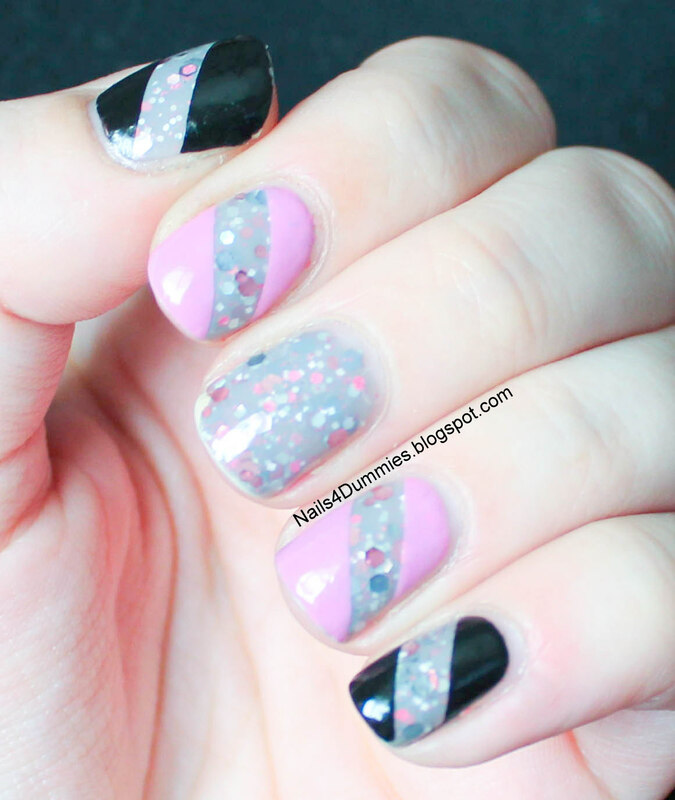 Using glitter in striping must of been a pain to work with. It wasn't too bad, I just used it as the base! The KB Shimmer polishes are pretty easy to work with!